Registration is now open for our 2019 Cubs Program! Cubs will run 5 Mondays, starting Monday, April 15-May 13. Participants will receive a ball and a t-shirt. All practices will be held from 6:00-7:00 p.m. at Centennial Middle School. Register today by clicking on the link below! We look forward to seeing many of you there! Volleyball players looking for an off season strength, agility, and vertical jump program should look into the 8 Week Summer HOPS program at Acceleration North. This program is tailored to each individual athlete, not a team. Individuals purchase this program before April 1 and save $85! Use it any consecutive 8 weeks between April and August. Athletes try to schedule 2-3 workouts a week online and can pick and choose days and times that work for them. Pre and Post testing will be conducted in vertical leap, shuttle run, broad jump, and they will get their summer weight chart and a T shirt at the end. Acceleration North recommends 2 strength days and 1 incline treadmill workout per week. Smaller training groups of 4-6 athletes allow them to pay attention and correct all aspects of lifting form, sprinting, jumping and acceleration. No large groups in which kids get lost and not corrected on technique. Call 651-486-0020 with any specific questions on your athlete. All information regarding this tournament can be found at the link below! Tentative tournament schedules, along with practice days and times have been posted under each team page. Please understand that tournament schedules are still subject to change. However, we hope that this will help give you an idea of what we have in mind for the upcoming season! Check out Our 2019 Uniforms and order additional CVC apparel for the upcoming season in our webstore now! All orders are due by November 25th! CVC would like to welcome Leah Skoy as our new Coaching Director!!!! "I started playing volleyball 24 years ago and never stopped. I fell in love with the sport and played it year-round - school, JO’s, summer leagues, three years at the University of St. Catherine, and then onto adult volleyball. I started coaching my freshman year in college as a volunteer coach for Club Adidas for one year, then to Anoka Juniors as head coach for their 16-2’s team for a year before I was asked to join Club Dakota as the head coach for their 16-1’s team. I mostly stayed at the 16 and 18’s level but was able to help at the lower levels from time to time. A co-coach suggested I look into high school coaching, where I was paired-up with Saint Paul Academy and Summit School (SPA). The unique part of coaching these two particular programs was Club Dakota was a competitive club where SPA had a weaker/rebuilding program. This gave me the ability to teach the game at all different levels. 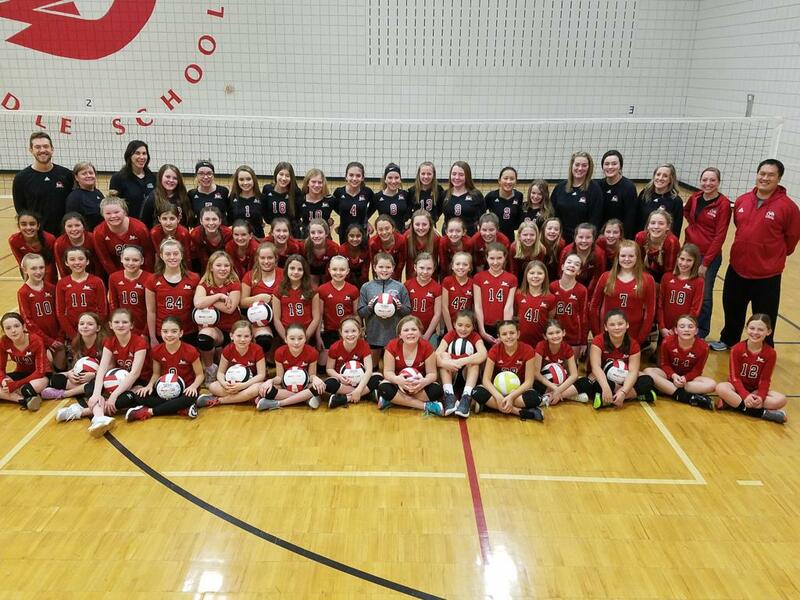 I took a break from coaching for 6 years as we were growing our family, and this last year, I returned to coaching with the HS Centennial Cougars Volleyball program." We are excited to have Leah as part of our CVC family and look forward to the upcoming volleyball season! On Social Media? Follow us for current events and information! ©2019 Centennial Volleyball Club / SportsEngine. All Rights Reserved.